We are continuously striving to make your visit more comfortable and pain-free. For many people, the fear of dentistry starts with the injection. We take several steps to help drastically reduce the pain of the injection, and if possible, eliminate it. We use a high strength topical numbing gel that sits on the area of the injection beforehand. The gel is 20% Benzocaine, a very effective numbing agent so that you can’t feel the first pinch with injections. One reason injections hurt is due to the fact that anesthetics are usually used at room temperature. We take every measure possible to make sure that your injections are as comfortable as they can be. 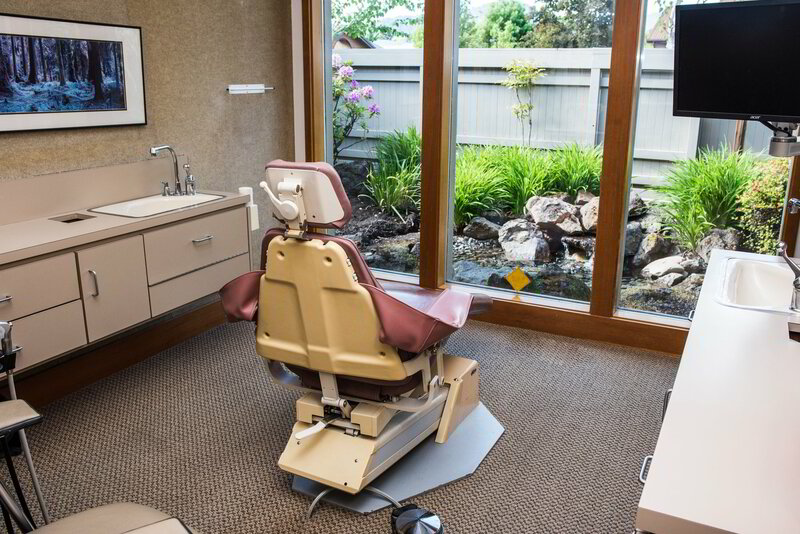 We pride ourselves on providing the most comfortable experience we can for our patients. Studies have shown that bringing the anesthetic up to body temperature before being put in the body reduces the pain that you would feel with a colder anesthetic. Another reason injections hurt so much is due to the pH of the anesthetic. The anesthetics most dentists use have a lower pH than the body, and this acidity causes the pain. Due to this, we first use a different anesthetic with a pH that is similar to the body to get the area numb. However, this anesthetic does not last as long, so after you are numb we add a longer-lasting anesthetic for day's procedure. It may seem counter-intuitive that to reduce injection pain we do two injections. However, we’ve found people feel much less pain by doing a gentle injection first and letting the area numb first. You & Your Family Deserve!